ACROSS Te Kotahitanga O te Wairua was formed in September 1990 and became an incorporated society under the Charitable Trust Act (1957), in July 1991. 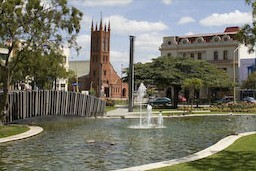 In 1996 a new Constitution was adopted as a result of a merger between its parent bodies, the Anglican All Saints’ Children’s Home Trust and Catholic Social Services in Palmerston North. It moved the governance of the service from the Catholic Bishop of Palmerston North and the Anglican All Saints’ Children’s Home Trust to a Board comprising membership from Anglican, Catholic Church and community representatives. The agency prides itself on its special character which includes responding in a caring and compassionate way to the needs of those in the community requiring immediate and/or long term support. 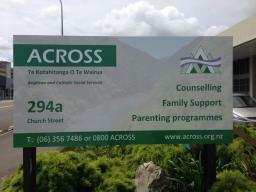 ACROSS is staffed by both social workers and counsellors who provide a range of services to children and families. The agency is managed by a Director appointed by the Board. Practice supervision and training is provided by a senior social worker/ Practice Manager. Client referrals (including self referrals) come from a range of sources and may be for individual client work or family work. The agency has also provided for a programme for children in the past. ACROSS also has a tradition of providing a foster care service and recruits and trains caregivers to provide placements for children unable to live with their family; placements may be for respite, short term and/ or long term care. Traditionally ACROSS has also been able to rely on a small group of volunteers who have provided various support to ACROSS clients. This support has included providing temporary after school care, volunteer drivers who have assisted transporting children, emergency respite care for children who need to be out of the care of their families and in some situations home help.